A clear, simple statement is prepared outlining the constraints and opportunities that are intrinsic to the site, and the best strategies to meet climate-appropriate comfort. 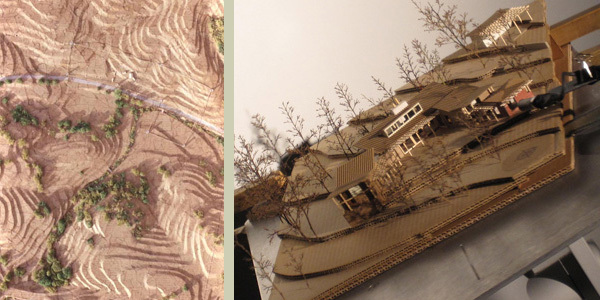 Frequently, a model is built of the site and immediate vicinity. These “working” models are extremely useful throughout the design process.